“Forum” – Ensembles – Download – Symphony. 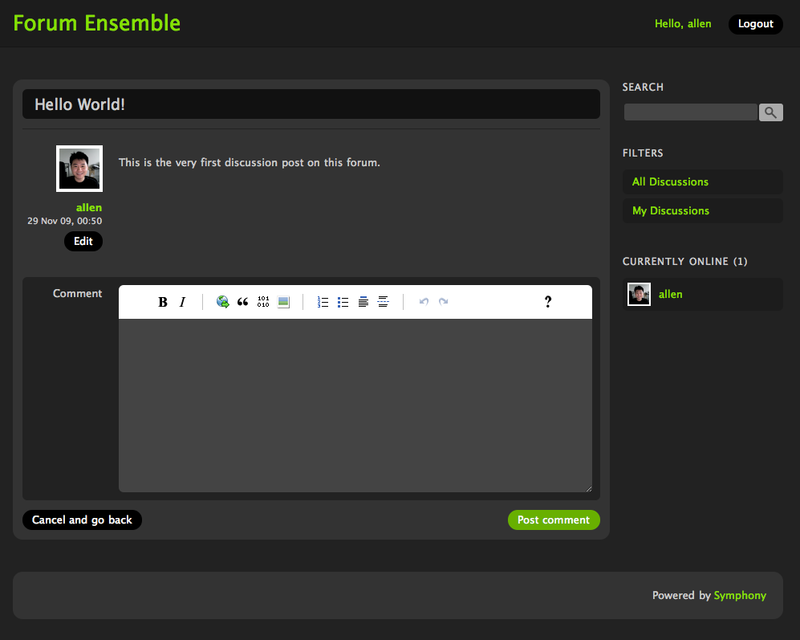 This forum ensemble is built using the foundation of the official Symphony website’s own discussion area. 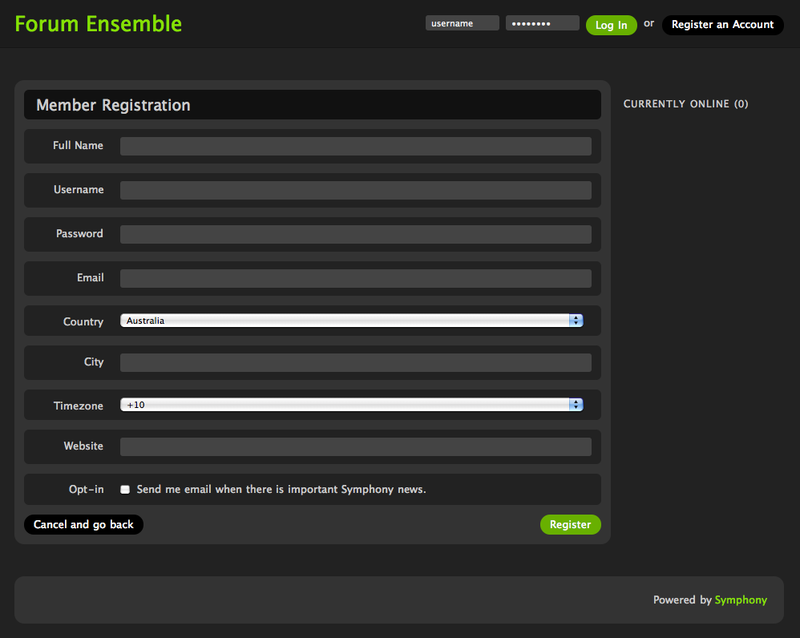 For this version of the ensemble, I wanted to make sure that the core was easily updated, so I have deprecated the previous version and started over with the repository to include all the original commits to the Symphony CMS core files. The GitHub repository URL is now different. If you would rather checkout the previous code for the forum, using a modified Symphony 2.0.6 core, use this repository or download the ZIP file. This version contains some modifications to the extensions in order to ensure compatibility with the Symphony 2.0.8 Release Candidate 1 (RC1), and has been updated to version 2.0.8 RC3. While it is built with the official Frontend Membership Extension, I have used the mail() function instead of the SMTP Email Library (I couldn’t figure out how to get it to work) for registration and activation messages. The ensemble has not been fully tested. 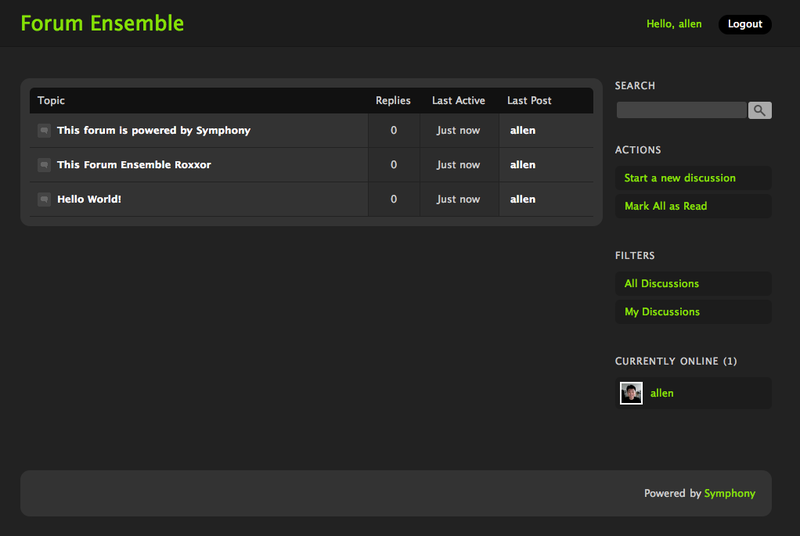 If you find any bugs, please put them on this ensemble’s issue tracker.